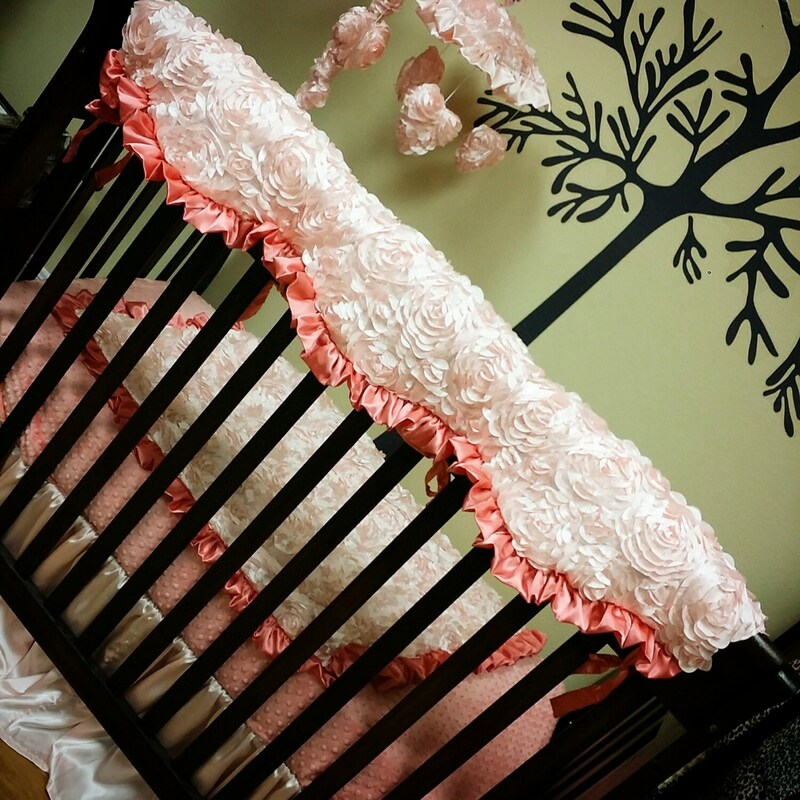 Satin Rosette. Scalloped. 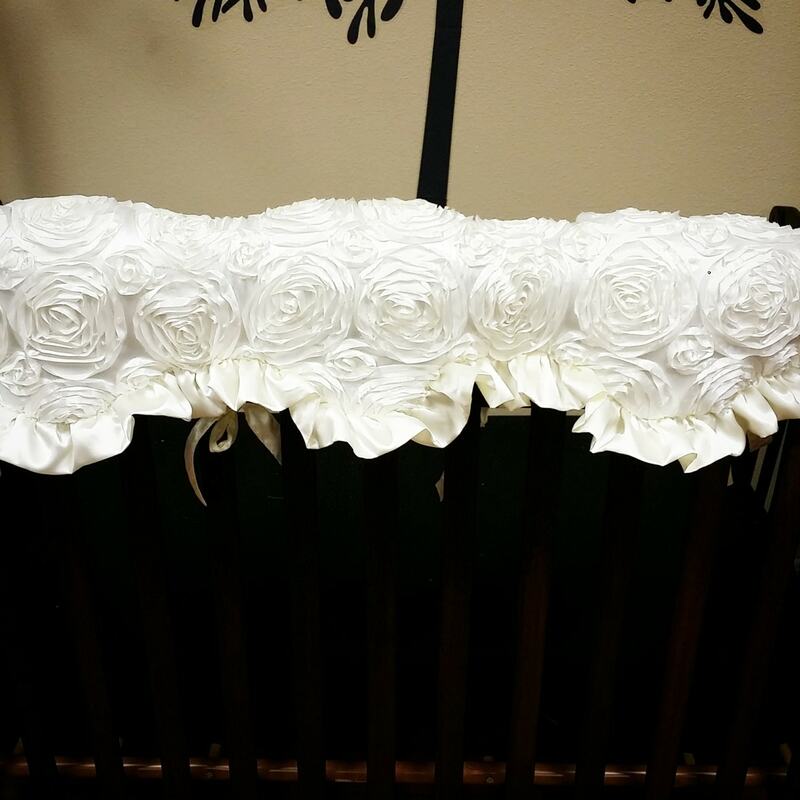 Crib, Teething, Rail Guard. 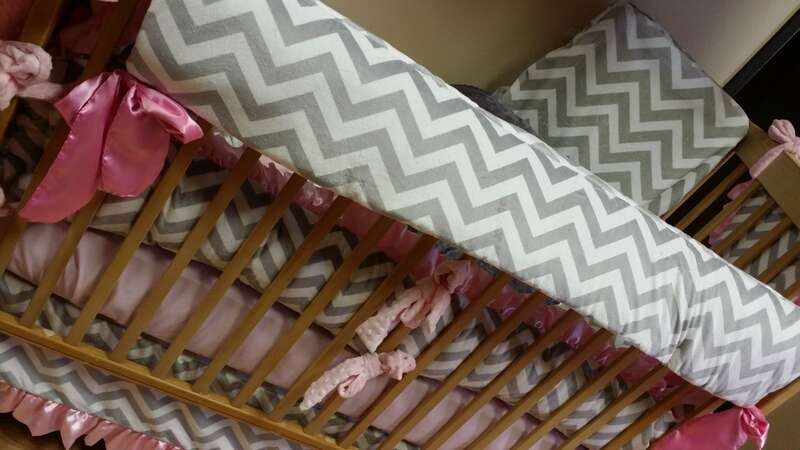 Our crib rail covers are not just a piece of fabric sewn together with ties to cover a rail...any mom who has had a "teether" already knows that a piece of fabric wont prevent a child from putting teeth marks on their rails. Our covers have a nice fiber liner in them to actually provide protection. 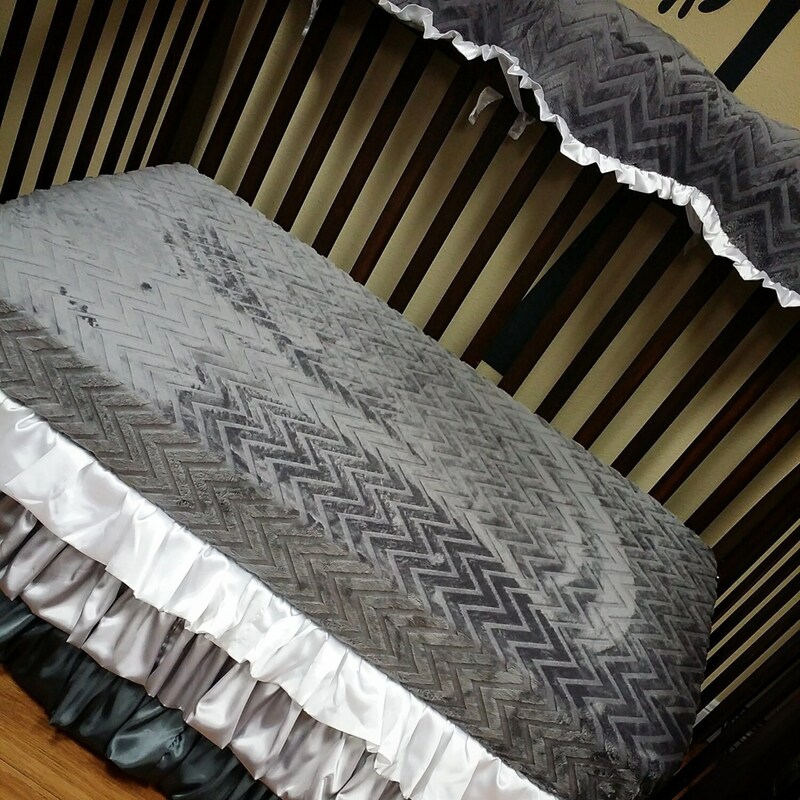 If your looking to match our bedding or bedding you have purchased elsewhere, please be specific when asking questions and provide pictures. 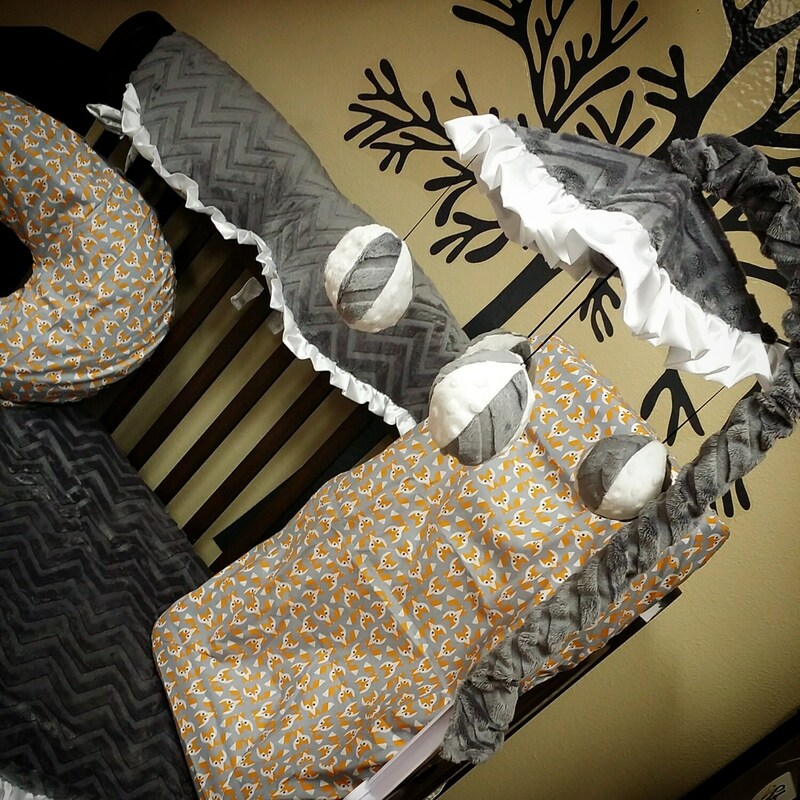 At checkout, please state brand / model crib we are making these for.